Cruise Hive is sad to report that a 20-year-old male passenger has today died after falling onto deck of cruise ship while it was docked in PortMiami. The man who was from North Carolina was climbing on the ship’s forward mast in a restricted area when he fell on a lower deck. The ship was the Carnival Ecstasy which is a Fantasy class vessel operated by Carnival Cruise Lines. Sept. 29, 2014 — Earlier this morning as the Carnival Ecstasy was approaching PortMiami, a 20-year-old male guest entered a restricted area and climbed up onto the ship’s forward mast. He subsequently fell and landed on the deck. He was initially treated by the ship’s medical team and later transferred to a local trauma center in Miami. Unfortunately, he has passed away. Our thoughts and prayers are with his family and loved ones at this difficult time. The tragedy happened Monday morning while the Carnival Ecstasy was docked at cruise terminal E. The ship arrived into port at 8 am and was scheduled to depart at 4 pm with no delay. There were three other cruise ships also docked in Miami including the Carnival Victory, Norwegian Sky and Majesty of the Seas. The passenger was taken to Jackson Memorial Hospital, Miami after the fall but later died. The passengers identity is yet to be released. 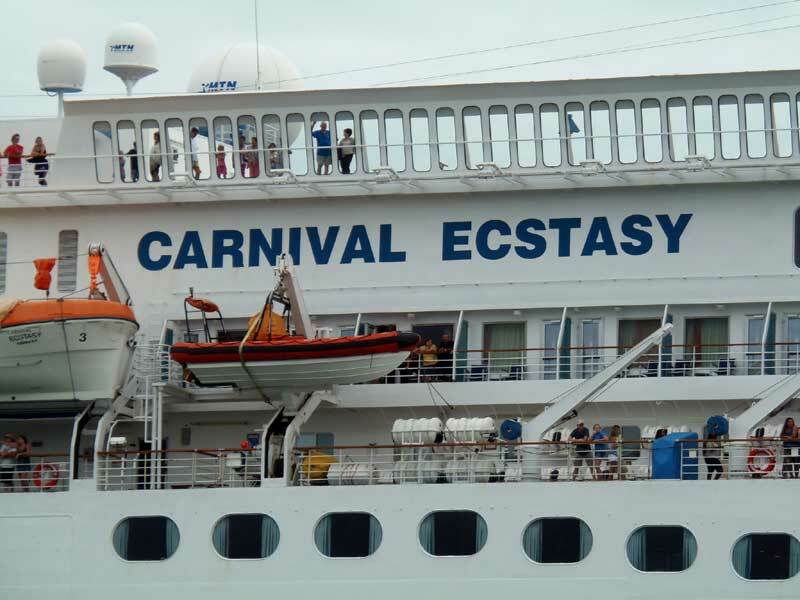 Any areas which passengers are no allowed to access are usually displayed with ‘Crew Only’ Carnival will have to find out how the passenger got through and found his way to the forward mast. The story is still developing and will update this post once more details are known.